There are at least 5 artists with this name. 1: Black metal from Germany. 2: Black metal from Germany. 3: Black metal from Holland. 4: Death/doom metal from Poland. 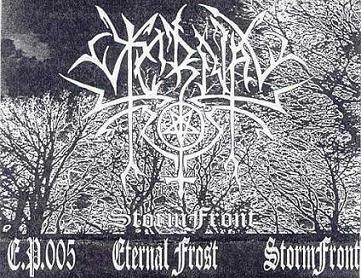 5: Black metal from Russia. Leichenfrass - guest vocals on "Stormfront"
Grimbutcher - guest vocals on "Stormfront"